I thought I'd try something different today and quote the MM e-mails, instead of summarizing. I like how you can almost feel each person's excitement! "I'm so proud of myself. Back in June, on a whim, I agreed to lead a running team with a friend for women living at a home for abused, recovering drug addicts, or homeless women that just need help getting back on their feet and learn life skills. A few months in, we told them we were signing them up for a half marathon. I was in charger of the walkers of our group. 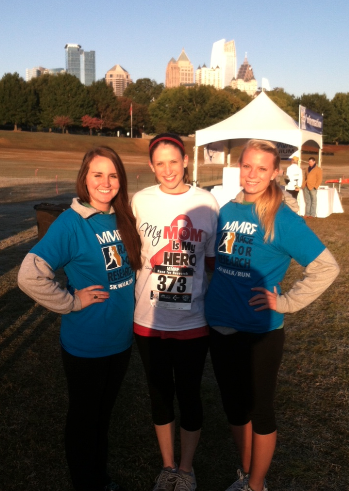 We only ended up having three girls do the race with us but it was the greatest experience! These girls set goals for themselves and accomplished something. I can't post photos of the girls since they're in a special treatment program; however, here are some pictures I took during the race yesterday. Absolutely beautiful! Could not have asked for a better race. Although I'm super sore today, it couldn't have been for a greater cause! Side note: walking 13.1 miles is VERY different than running 13.1 miles. 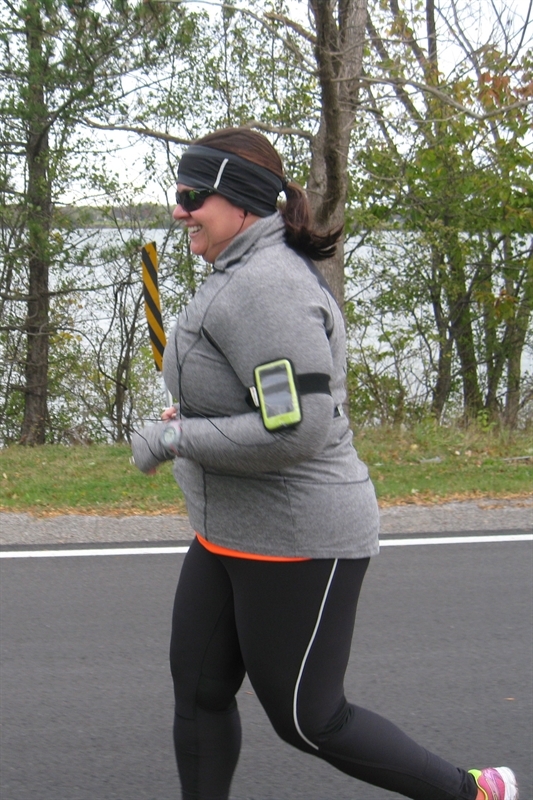 Very different muscles used especially with all the hills we had on the course." 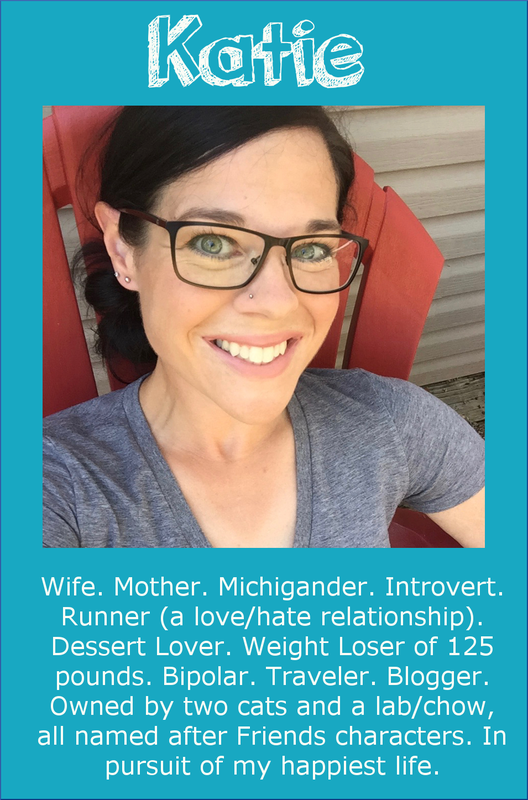 "Just wanted to let you know how YOU motivated ME to run a Ragnar Relay. I completed the Tennessee Ragnar this weekend. It was awesome! My 3 legs totaled 18 miles, and 2 of them were in total darkness and sub-freezing temps! I had zero sleep and inadequate nutrition (even though I thought I was prepared for that). I thought we would all get on each others nerves in the van, but our friendships are even stronger! I learned there's no "I" in "team"! Thank you for sharing your Ragnar experiences, it planted a seed in me that really blossomed this weekend!" "In August of this year, my mom was diagnosed with Multiple Myeloma. It is an incurable blood cancer. Unlike many other cancers, there is no such thing as a complete cure; the only hope is remission. Since I live 700 miles away from my mom while I'm at college, I wanted to do something to help out and make a difference. I found a 5K race for research for the Multiple Myeloma Research Foundation. The MMRF has done a lot for this cancer and has raised millions of dollars for new drugs to help treat it. I ran my first race ever on Saturday in Atlanta and my only goal was to finish in under 30 minutes and run the whole thing for my mom. I surpassed my goal and ran in 28:30! 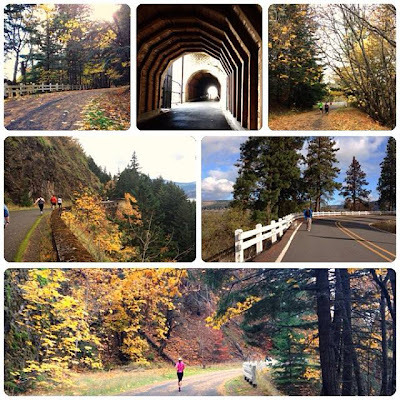 I'm so thankful for the running community and for 5Ks that raise awareness and funds!" "You included me in a Motivational Monday #20 back in June when I ran 3 races in one week. I told you then that I had a half marathon on the schedule, and I had to write you to let you know I completed that today! My time was 2:48:31. I came in under my 3 hour goal for my first one! Because of an injury to my knee (torn meniscus and slight tear of MCL) over the summer, my training schedule was compromised. I didn't know what today would bring. But I still set a goal and worked feverishly toward it! I'm so proud, and am contemplating what my next big goal will be! 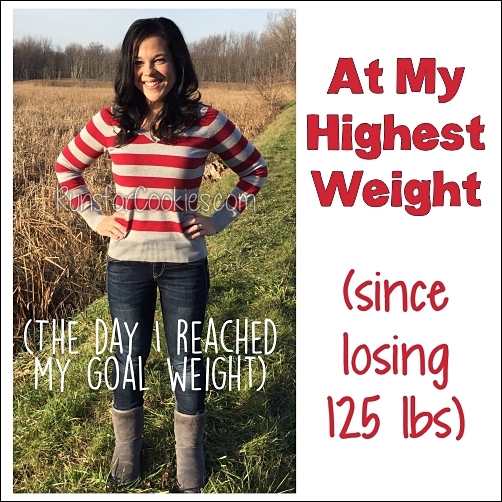 (I also gained some weight back this summer due to the knee injury, but I am proud to say I am back to 48.8 pounds lost and moving forward with a vengeance!)" "On Saturday, I ran a local 5k, but was more excited about running the 1 mile kids' fun run with my 3-yr old daughter, Leah, after my race. She always talks about running with me, so I signed her up. It ended up not being as great an idea as I thought! She was having a grumpy morning and didn't want to even walk anymore at certain spots. I ended up helping her along at some points (a.k.a running with her on my shoulders because we were last and the police officer was trying to open the road) but she made it and received a medal for just participating (which she wears everywhere). 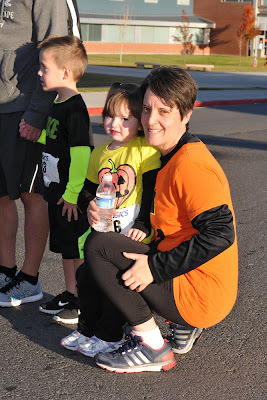 A few hours later she told me "I want to run with you again mommy. Next time I run more." I was just happy that she wanted to do it at all. I see what running has done for me with my weight, health and overall happiness and want to be able to pass that on to my daughter. 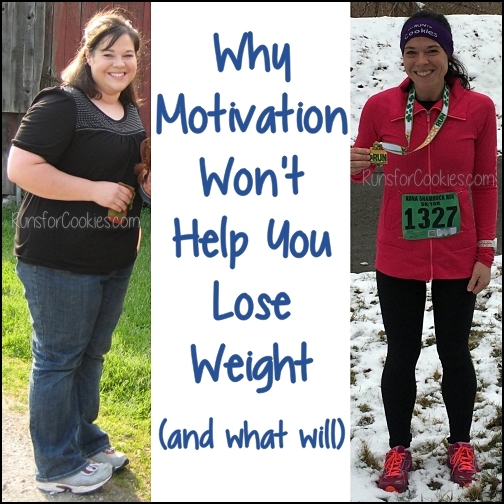 I don't want her to ever feel like exercising is an awful thing; something she 'has' to do. I want it to be something she 'wants' to do." 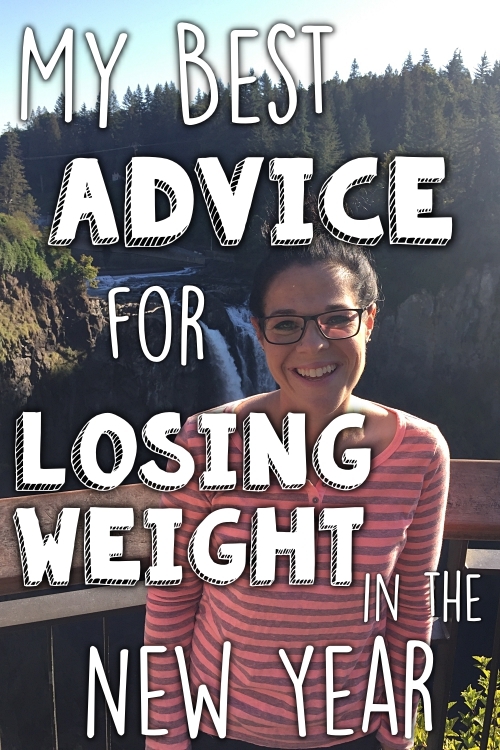 "I have struggled with weight loss for a LOOONNGG time. Started WW last November after seeing my birthday picture last year and feeling very depressed at that weight. I started spinning and running for exercise. 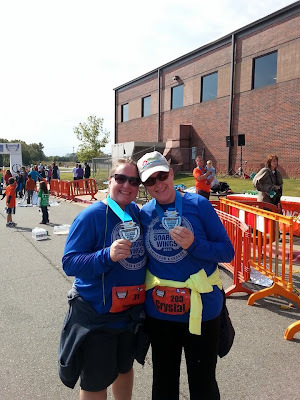 My best friend wanted me to run a 5K with her earlier this year and my time was 40:27. This Saturday we ran our 3rd of the year and I PRed with a time of around 33 minutes (it was a color run, so no official time). 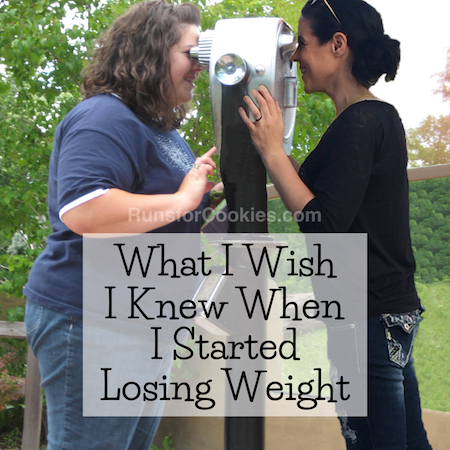 My starting weight was 212.4 and last WI was 169 lbs." 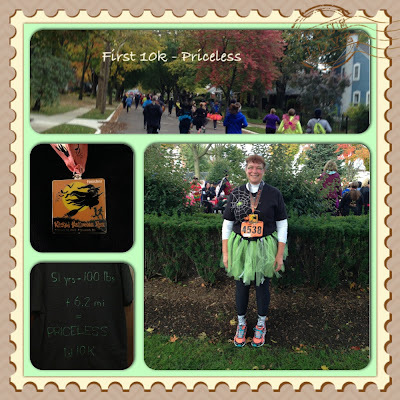 "Yesterday, I ran my first 10K race. While I knew I could walk that far, I was very nervous about running that far. I am very happy that I was able to run the entire course. I kept focusing on running for another half mile at a time and just like it is with losing weight it was easier to focus on the increments instead of the full journey. I wasn't fast by any means, but one of the coolest things about your first race is that you are guaranteed a PR. My official time was 1:22:21 and considering that just last year, I was terrified to walk around the block for fear of not making it back home, I'm pretty excited. Just after the finish line I had a lady follow me and ask if she could interview me on video for the race because I had the biggest smile on my face of anyone she had seen cross the finish line (she didn't know I'm usually pretty shy and not good at speaking) but I think it means I was pretty excited and shocked to have finished." Make sure you check out the Motivational Monday Facebook post to read more stories, and/or post your own! Hi Katie, I just saw your Triple Crown photo from yesterday's race. Great job! I ran the 5K and boy was it cold out there. This is my first time commenting on your blog but I just wanted to tell you how inspiring you are! I stumbled upon your blog a few years ago from Spark People, I think, and your words really motivated me. At 44 yrs old, I never thought I'd start running but here I am; giving it a go. Thank you for your daily blogs! I had a question for you regarding your time training on Hanson's plan. I'm looking at marathon training plans for the Hyannis marathon in February, and the Hanson method looks interesting. Did you add a warm-up and cool-down mile to every run (even the 16-mile ones)? Because I'm interested in the program. Hi Becca! The only runs that you are supposed to add a warm-up and cool down to are the speed/strength workouts, and the tempo runs. 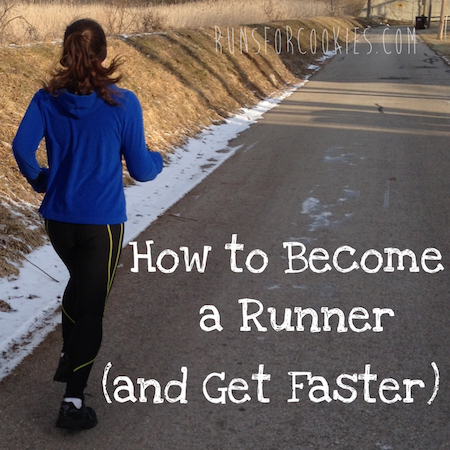 You're supposed to add 1-2 miles at an easy pace before and after. I did a warm-up (one mile), but rarely (if ever) a cool down.